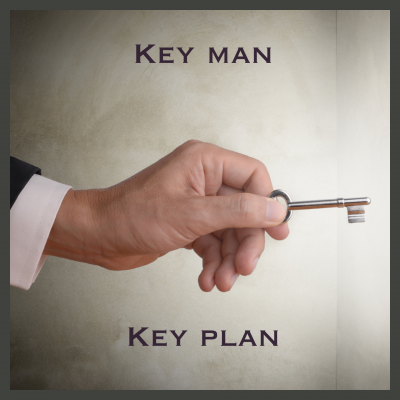 KNOWING YOUR ROLE IN THE KEY PLAN TO EMERGING THE KEY MAN. It is observed of sailplanes that some do not have engines.. The lift of the sailplane is generally initiated by another plane which tows it until a certain altitude. Then, the sailplane is released and starts its autonomous flight. As it does not have any engine, it must follow a downward trajectory relative to the air to keep its speed. To avoid approaching the ground too quickly, it must find zones where the air follows an ascending direction. That enables it to continue its flight. But as it is true of sailplanes, I am convinced that God desires to lead us by His Holy-Spirit giving us instructions to bring us into our wealthy, enlarged and “in-charge” place and into enthronement as we heed the wings of His voice to emerge giants and men as strong as nations, and if we are so interested, stronger than nations as we are made to understand from Deut 28:1-2. Zion(that is the church) is a colony of stars and by implication, your default setting in Christ. You are created for more than you are living for right now. Challenge your highest achievements thus far and you will find there is a lot more to be done.. Depending on where you stand. The word which came to Jeremiah from the Lord saying, Arise, go down to the potters house and there I will cause you to hear my words. First lets establish a truth here that God’s word is the cure for misdirection and instability. The word of God is highly instructional and more often than not, this word comes to us as instructions. It is so vital to stay on the spiritual frequency where God’s voice becomes accessible to us. It is key to our liftings and advancement because some of the answers to our greatest prayer will come on this platform, of God telling us what to do, when to do and where to go. The instructions from the mouth of God is the prescription for man’s transformation. Every word from God that you heed has the potency of making you live as it were, in heaven on the earth. The instructions of God is the highway to man’s distinction. God’s word is not to be negotiated, undermined or forsaken. To observe lying vanities in response to the word is to forsake your season of visitation resulting in your desired change. Christianity is a covenant based faith and we serve a covenant keeping God. The bible(which is the manual for a victorious Christian life) is a book of covenant. It is Gods will as it relates to His divine plan and purpose for you and I. That’s why it’s called the testament(i.e a will,especially as it relates to the disposition of one’s personal property). However so, God’s covenant leaves a responsibility on our part to see it fulfilled. A covenant is a formal deal or agreement entered into by 2 or more parties with well defined terms and sealed by an oath. This goes to establish a fact of destiny and the reality of our desired expectation. God’s promises embellished within the confines of His word is yea in him and Amen in Him-2corinthians 1:20,and to think we can go that far without abiding to His instructions will make a failure any-day. The frustration,stagnation,downcast despondency and despair of many in the body of Christ today is traceable to a high level rebellion in heeding divine instructions. I see a fresh release of grace that will cause you to become obedient and evidently result in your advancement on every side. I pray that the deceit of the wicked one to entrap you and keep you perpetually stagnated be frustrated in the name of Jesus Christ. Therefore,Receive a fresh endowment of the spirit of love to keep you on the path where your focus is entirely on Him in Jesus name I pray.